We are taking our wellness program back to basics. The wellness program is now accessed directly on the MMIA EB website, and physical gift cards will be sent at the end of the year. Our confidential wellness program is strategically designed to help our participants get and stay healthy, which saves money to individuals and the self-funded pool. You have until June 30, 2019, to collect your incentives from the 2018/2019 Wellness Program. If you are having trouble, view this handout on how to collect your incentive or call DHS at 1-832-201-8500 (option 4). View the 2018/2019 EEOC Notice. Complete the following confidential activities, and earn an incentive for taking an active role in managing or improving your health. Click the "i" in each box to learn more about the activities. 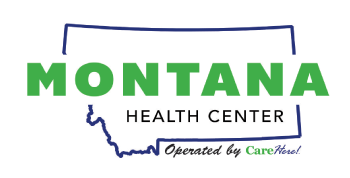 Get a biometric screening through It Starts With Me or the Montana Health Center between July 1 and September 30, 2019. If you missed your health screening date, view the schedule of ISWM screenings or make an appointment at a Montana Health Center. If 80% of eligible employees in your city/town get a health screening, all eligible employees, spouses, and retirees who got health screenings will get an extra $50. A list of which cities/towns made 80% will be posted on this tile in October. Encourage your coworkers to get a screening too, in order to achieve this incentive. Once you receive your biometric health screening results, schedule a follow-up call with a Take Control health coach. You must get a health screening to qualify for this incentive. No other follow-up appointments or coaching will count for this incentive. Watch this video and submit a short quiz using our secure and private online form. This activity must be completed by September 30. Money will be sent to your city/town in the form of physical gift cards. Stay tuned for details. This program is developed in compliance with the EEOC wellness rules and does not violate anti-discrimination laws as laid down by the Americans with Disabilities Act and Genetic Information Nondiscrimination Act. Participation in this program is voluntary. MMIA maintains the privacy and security of your personally identifiable health information. For more information, view our EEOC Notice.